This fall will bring inspiring concerts and projects. 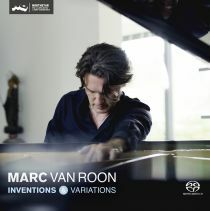 of course there will be focus on the promotion of my new CD 'Inventions & Variations', furthermore we'll have concerts with In October and November with the Tineke Postma Quartet featuring Fredrik Köster on trumpet in The Netherlands. With Tineke Postma Quartet we'll visit Belgrade/Serbia and the Umea Jazz Festival in Sweden. Also I've been asked to join the Greg Osby quartet at the KROKUS JAZZ FESTIWAL 2016 in Poland which is very exciting. There will be more Music Labs for Leadership Development and Innovation at the MCE centre in Brussels and various companies in The Netherlands. Teaching and mentoring activites will mainly take place at the Prince Claus Conservatoire in Groningen, The Netherlands. Lots of inspiring work to do for the new NAIP master.